Vampire Holmes is an original card game by CUCURI. The show’s original concept is by Yoshinobu Sena. He has also written the lyrics and composed the anime TV series’ theme song. He will also be the seiyuu for the protagonist Holmes. The theme song performance will be by Nami Tamaki, who has performed the D.Gay-man OP 2 and several theme songs for Mobile Suit Gundam Seed. 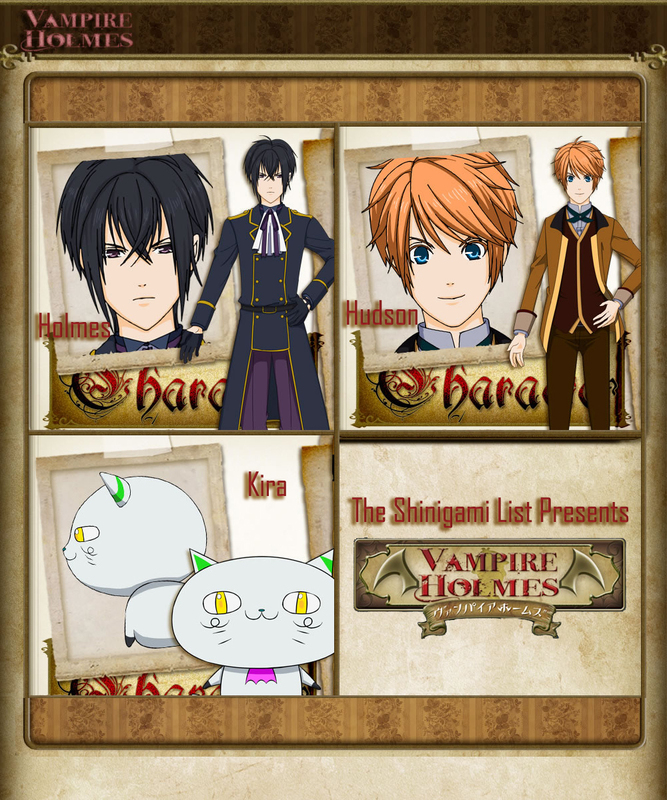 Watch Vampire Holmes starting this 3rd April! 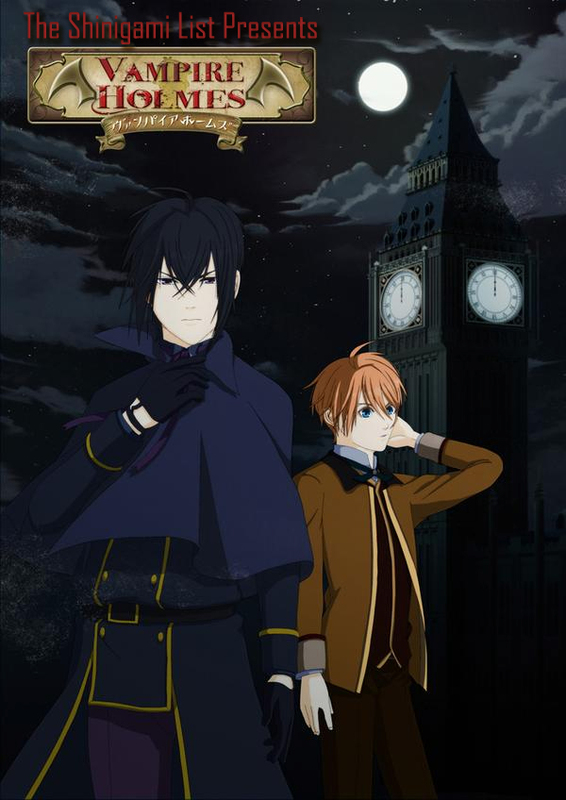 Vampire Holmes will have short episodes, five minutes each. It will feature Ayahi Takagaki as Kira, creator Yoshinobu Sena as Holmes and Nobunaga Shimazaki as Hudson (Yes, it is a guy!). The story begins with the private investigating business of Mr Holmes. Although not the famous and popular PI unit many of us would expect from his name, this investigator’s crime-solving record is exceptionally high, to say the least. This is why it is him who receives the most interesting, mysterious and somewhat frightening assignment – to find out who is the secretive vampire killer. It is the town of London as we have rarely seen it before. A large portion of the original CUCURI games centres on room escape and house escape tactics. It is not certain just how much of this will be included into the Vampire Holmes TV anime series. Yoshinobu Sena, as mentioned is the original creator, also responsible for the concept, theme song composition and lyrics. The protagonist Holmes is definitely what many would call an oddball: he is sleepy during the day, carries around a revolver with a single bullet inside, he hates socialising and prefers to stay in the quiet and isolated world of his own while the others enjoy clubbing, theatres and more. Hudson is an aspiring novelist who is working on a new crime novel. In order to create the perfect work of literary art, he helps Holmes on his crime-solving adventures. Kira is the third main character in the show. It is a cute cat that can understand human speech. The theme song “Everlasting Love” is performed by Nami Tamaki. See the other different anime series you can watch starting in the Spring 2015 anime season! At least Yoshinobu Sena is watching for certain. Yep, he must be eager to know how this turned out. Such a letdown… 5-minute episodes mean no good.